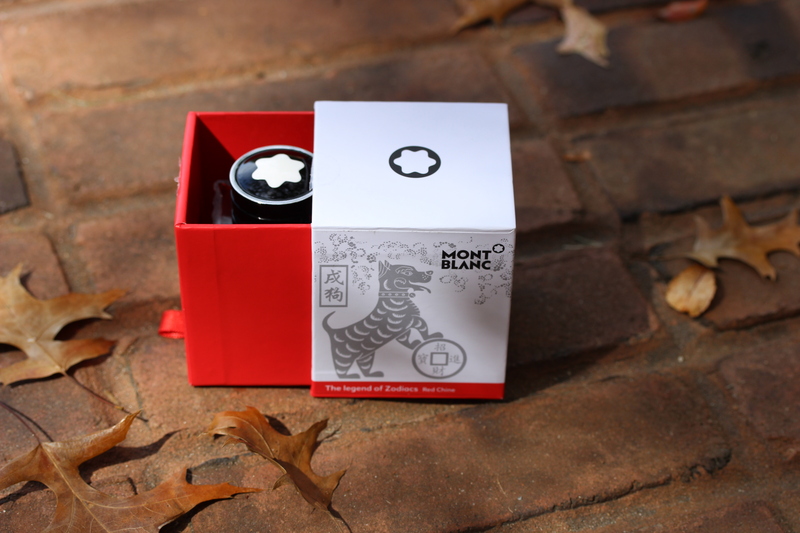 Montblanc is well known for releasing beautiful, well formulated inks in limited quantities. This time Montblanc has released a workhorse red ink that is perfect for editing and collectors of red ink-- the Montblanc legends of Zodiacs Red Chine. 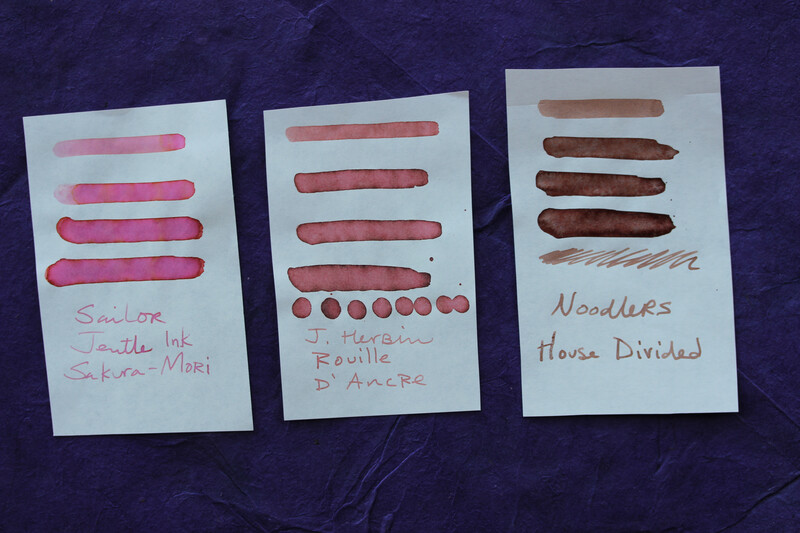 We tested this ink out on three types of paper-- Rhodia (white, grid), Tomoe River (white), and Copy Paper (Georgia Pacific Standard Multipurpose Paper). 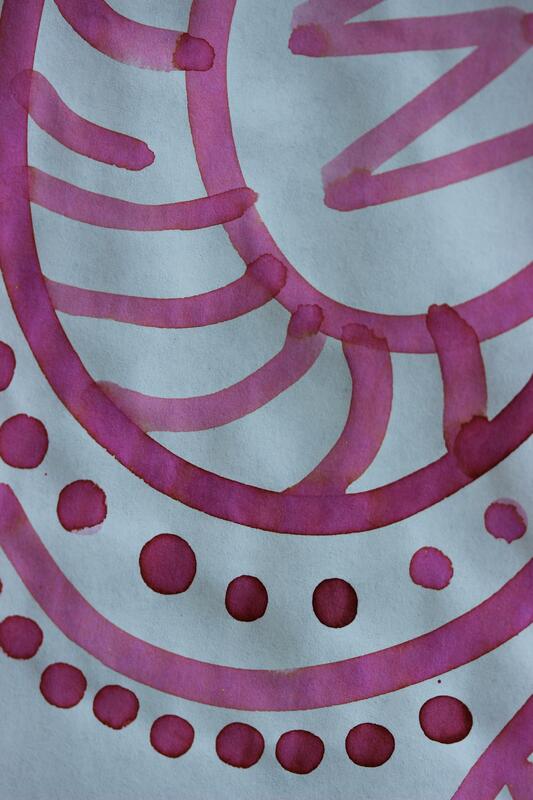 We were delighted by the vivid red ink with a slight tinge of orange. 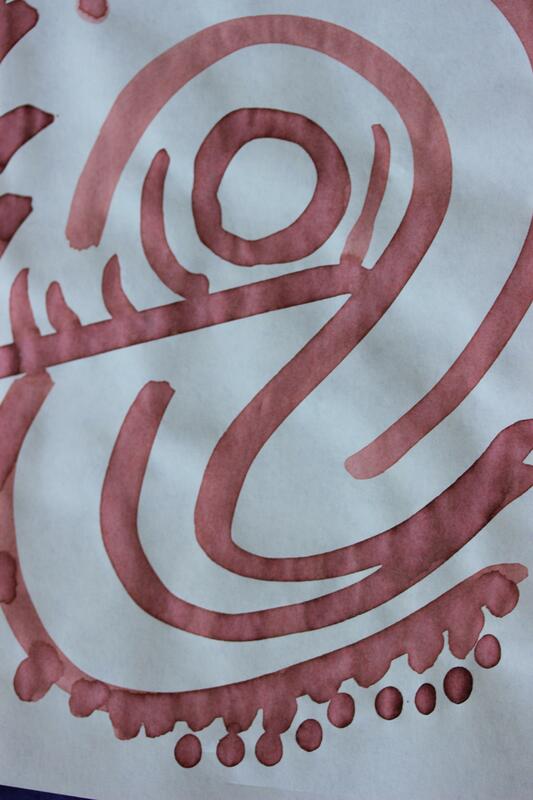 When we first used the we initially thought it was a bit "washed out" compared to other red inks. After some mileage it really grew on us as a red outside of the burgundy category and the firehouse category. 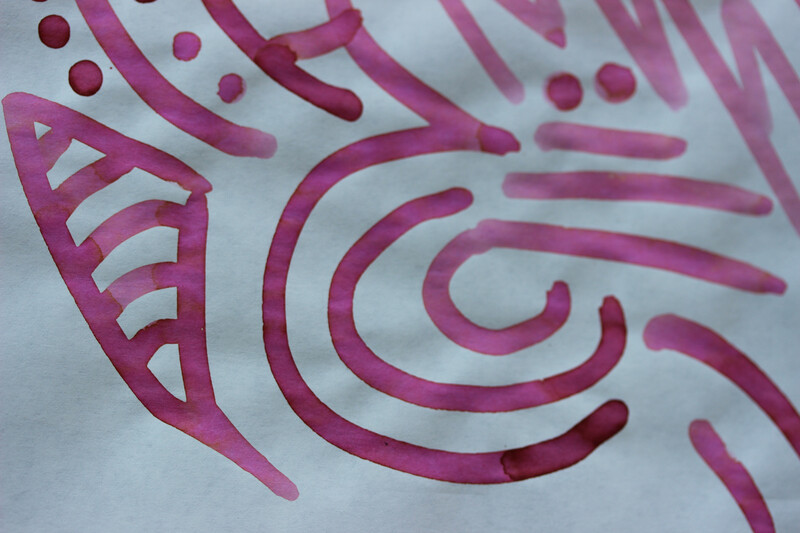 Think of a red paper lantern at a Chinese restaurant or grocery store that has been in the sun for a few years-- this ink is just that color-- a beautiful, matte red that is just a tad weather-worn. 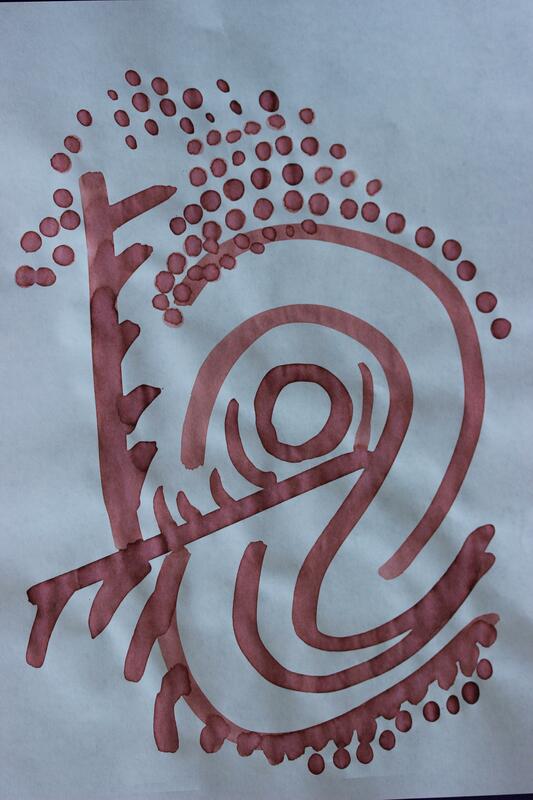 Red Chine is on the drier side of the ink spectrum. 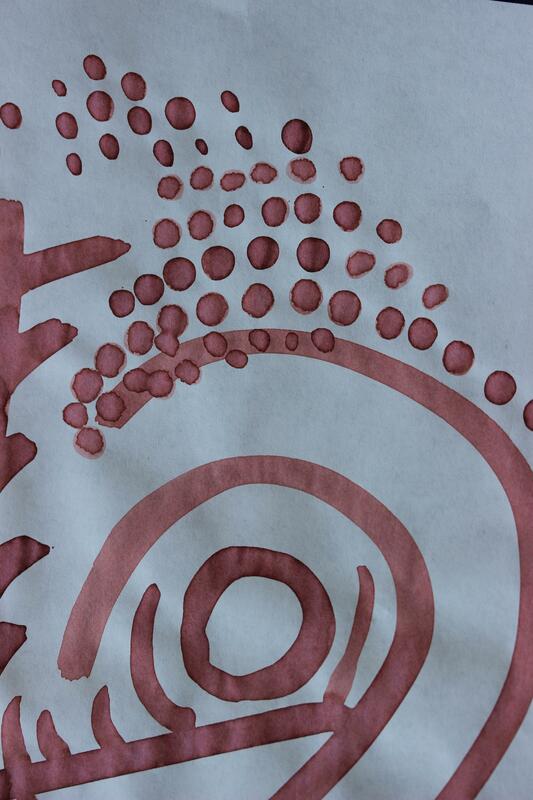 Of the three types of paper we tried with the Red Chine, the clear best match was on the Tomoe River paper which showed through as a true red with slightly maroon undertones. On the white Rhodia paper the ink looked on the orangey pink side which is a delightful color, but not what we were expecting from a red. 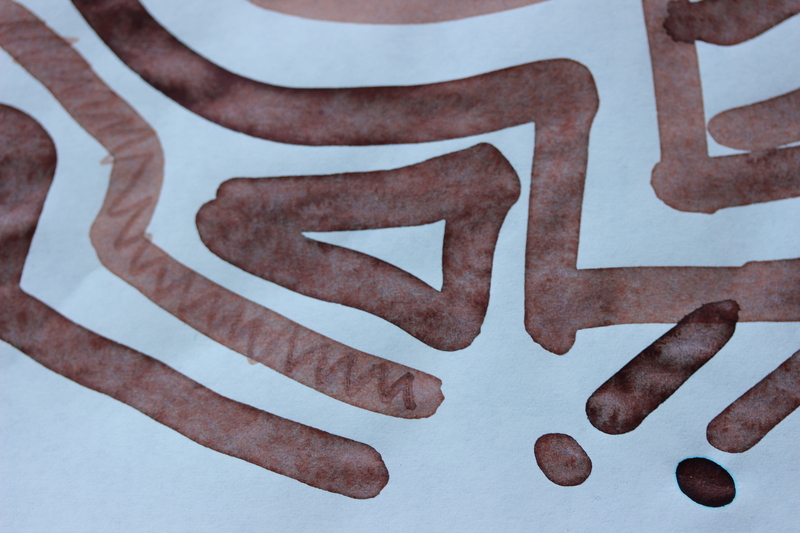 We were particularly impressed with how the ink handled on copy paper. 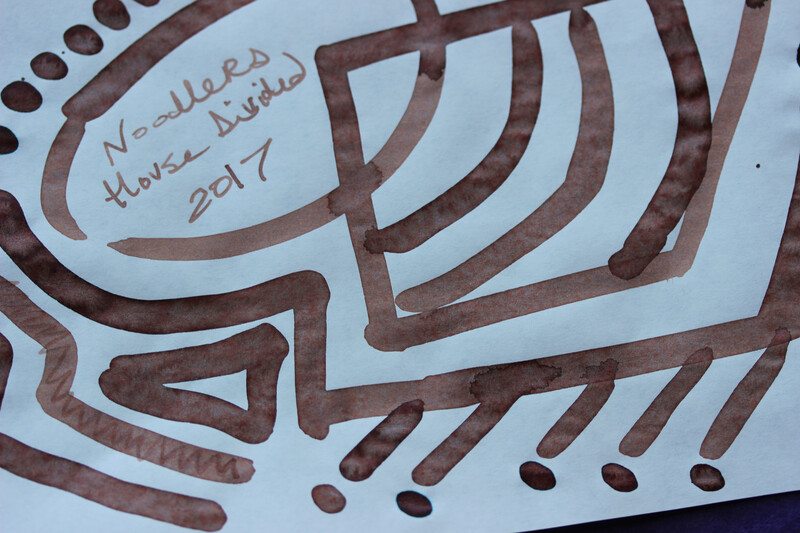 On the bright white of the copy paper the ink dried very quickly and had minimal feathering and hardly any show-through. The color is the perfect color for grading. 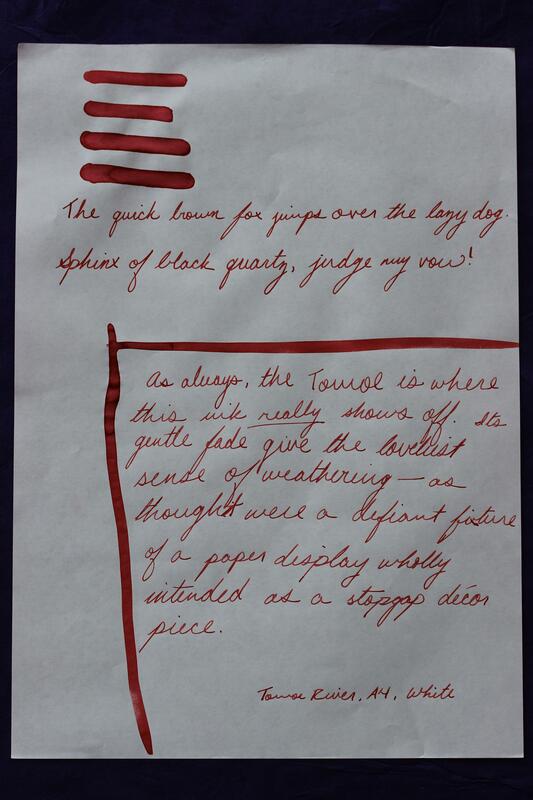 We highly suggest this ink for people who want a red for grading papers or editing. 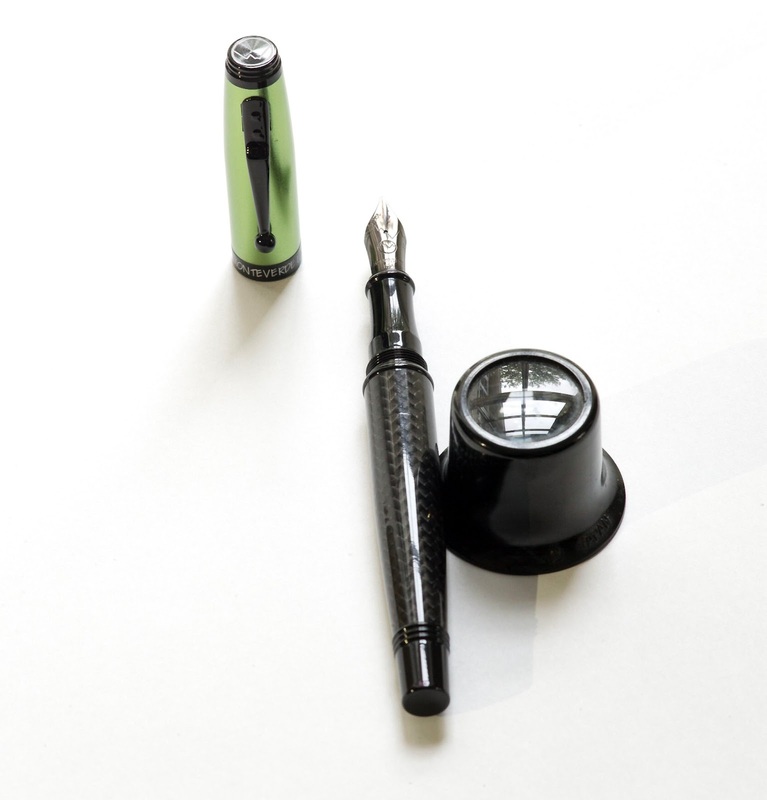 The ink comes in a ribbed, square glass 50 ml bottle with a black plastic cap with an inset Montblanc white star at the top. This bottle is a delight to see sitting atop a desk or on the shelf of a study. 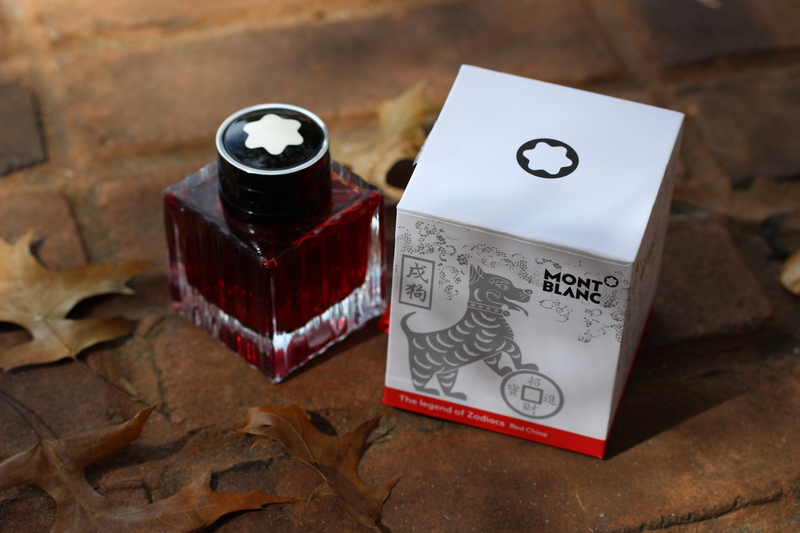 The packaging is a glossy, extremely sturdy, cardboard box that is red and white with Year of the Dog imagery on the sides (in the office we refer to it as the "Dog Ink"). As with all of their ink bottle packaging, the glass bottle sits in a box that slides out of a larger outer box, which is always a delightful tactile experience when opening and storing your new ink. Red Chine is a delightful red that is delicate and rather unique in that it's not a maroon or a hot-red ink. It sits firmly in the true-red category with slight orange leanings. 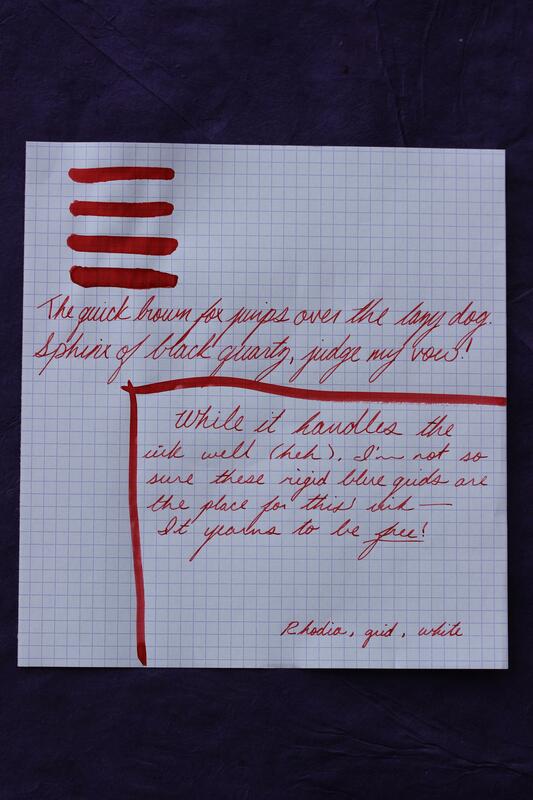 We think Red Chine is an excellent ink for grading or editing documents because it plays so well with copy paper and also dries quickly. 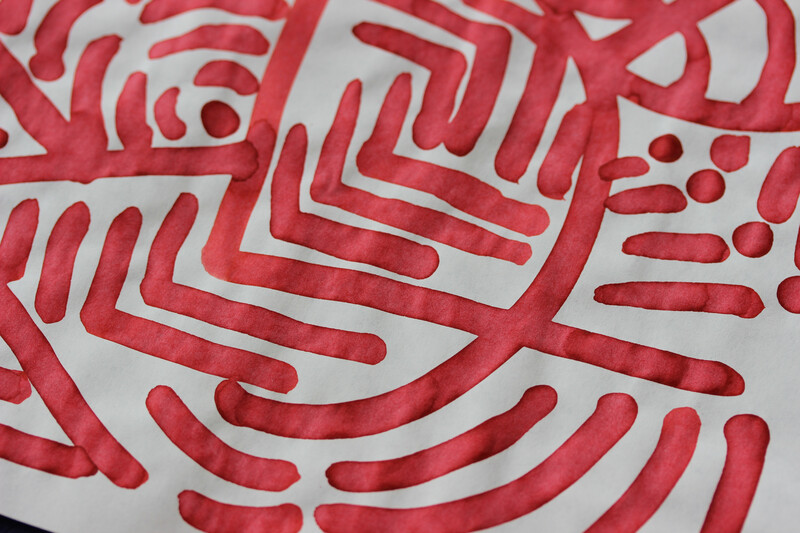 We currently have stock of Red Chine ink so place your order today with us! Since the Inauguration of President Donald Trump on January 20th, 2017, we have been receiving questions left and right about which pen the President was using to sign his official documents. If you were watching the Inauguration and admired his pens, then read on for the low-down on the new President’s pen of choice. Here we see Trump using a Cross Century II Rollerballs Black Lacquer with 23kt Gold Trim appointments at his Inauguration. Trump has and will be using these often for signing executive orders. Cross has also provided Trump with a Cross Townsend Rollerballs Black Lacquer with 23kt Gold Trim appointments to use. Trump, and many presidents prior to him, use felt tips in medium size and black color in their pens The felt tip leaves a solid, smooth black line that dries quickly, which is perfect for signing many documents in succession. These do not normally come in Cross pens, but must be purchased separately. These pens are hefty and incredibly sturdy. The lines are clean, bold, and the essence of classy. Now anyone can use the same pen as the President. Just remember - with great powers comes great responsibility. So use this mighty pen wisely since pen is still mightier ever in this digital era. Monteverde has been a symbol of unique style and taste from the day of its inception. Over the years, the brand has introduced an array of sophisticated writing instruments to create an everlasting impression, and they have succeeded to a point. It would be legit to say, Monteverde has paved its way to excellence with every product. A new assortment of writing instruments from Monteverde is the Rodeo Drive series. This fine series is inspired by the glamour of Beverly Hills. Each pen exudes an astounding beauty and reflects the luxurious lifestyle in Beverly Hills. Though fancy, Rodeo Drive pens are made of solid brass and are durable. To add a unique sensation, each pen is coated with a layer of lacquer and is made available in four subtle stardust finishes (black, blue, green and orange). The astounding profile is accompanied by lustrous chrome plated appointments. 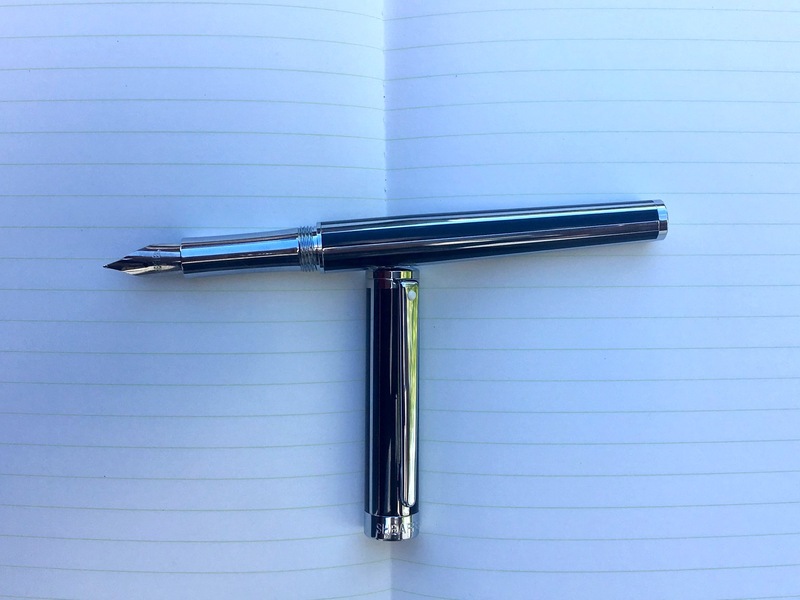 What impressed me was the outer appearance; the gleaming profile of the pen is stunning. But, as attractive as the pen looks on the outside, the performance it gives on the paper is absolutely spectacular too. 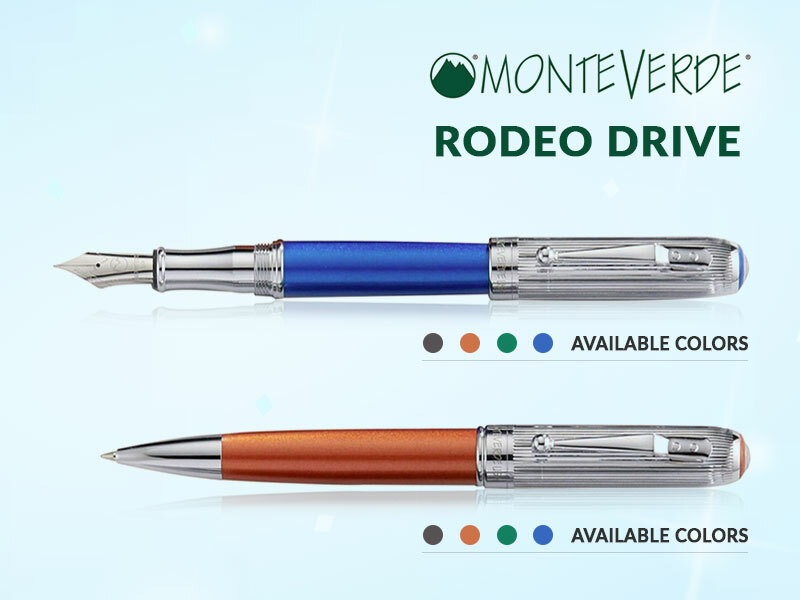 The Rodeo Drive collection is available in two different writing modes: ballpoint and fountain pens. The ballpoint pen features a smooth twist mechanism to ease the writing process. Chunky in appearance, the perfectly symmetrical profile of the pen is comfortable to hold and easy to write with. The smooth refill adds the missing ingredient and offers a pleasing writing experience. On the counter side, the Monteverde Rodeo Drive fountain pens share an identical design with the ballpoint version, while the working mechanisms are totally poles apart. Rodeo Drive fountain pens feature a stainless steel nib, the performance of the nib is synonymous to gold-alloy nibs and almost glides throughout the entire writing process. 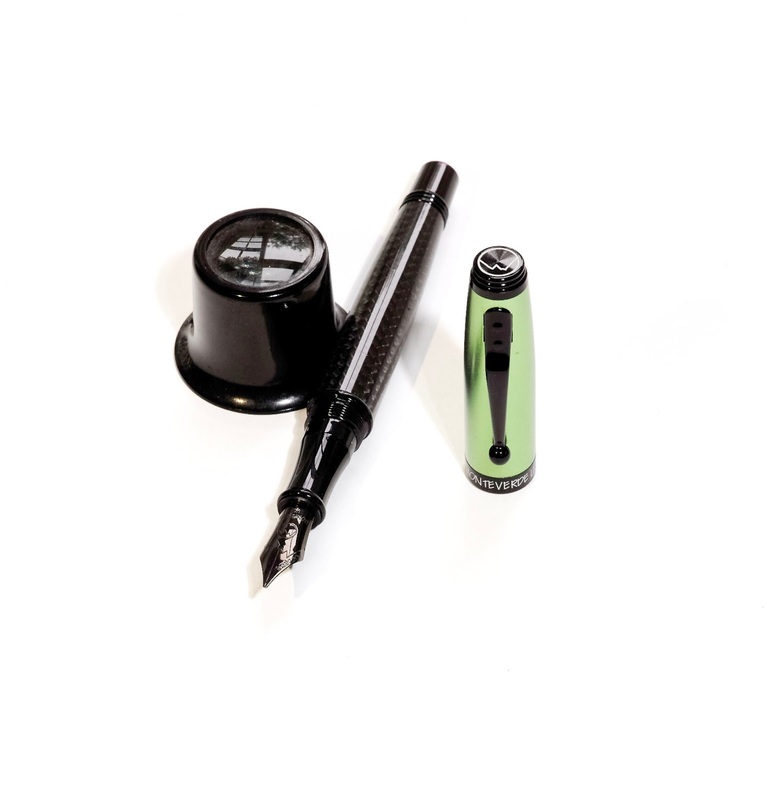 The nib starts with a soft touch and keeps you away from the hassles of writing with cheap and nasty fountain pens. 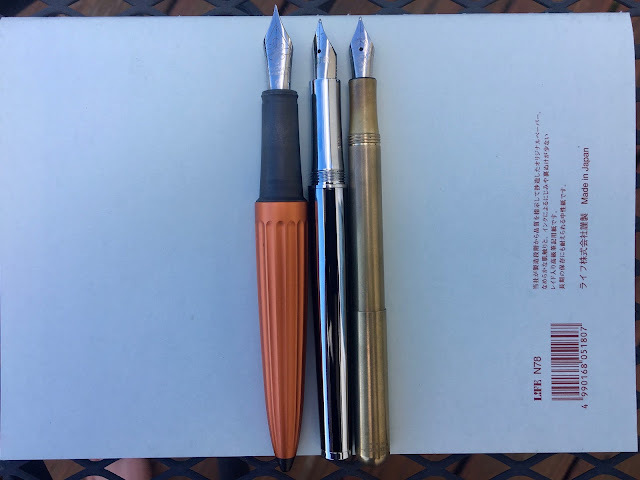 Rodeo Drive fountain pens fill via cartridge/converter. These fine writers accept standard international cartridges, but its best to go with converters as they allow you to use bottled inks. Both Rodeo Drive ballpoint and fountain pens are amazing writing implements, in terms of both look and functionality. They have it all, nice design, luxurious finish, and a performance that will outstand even the most expensive writing tools. Writing with Monteverde Rodeo writing implements is fluent, and it might create an overwhelming notion in the mind of the writer. And, with a large variety of colors to choose from, you won't have to feel trapped with the Rodeo drive collection.